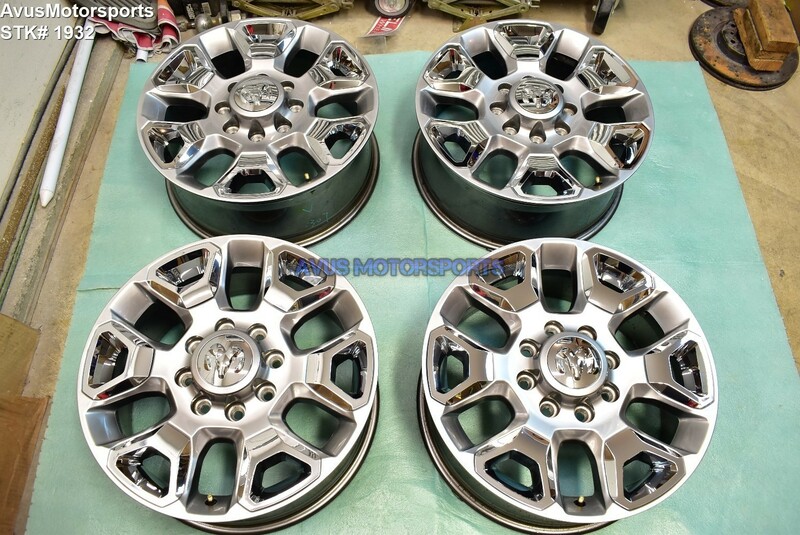 This item is for a set of (4) 2017 Dodge Ram 3500 Limited OEM genuine factory 20" wheels NOT REPLICA. These wheels are in very good condition, it does have some minor scratches, scuffs or blemishes (see pics). There are NO bends or cracks! Please review all pics!